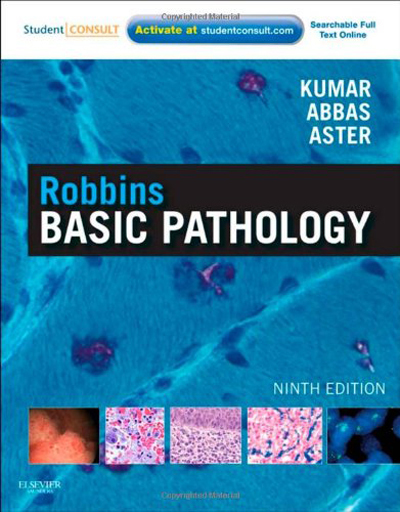 Robbins Basic Pathology, 9th edition | Free eBooks Download - EBOOKEE! Posted on 2013-08-01, by mylife. Robbins Basic Pathology delivers the pathology knowledge you need, the way you need it, from the name you can trust! This medical textbook's unbeatable author team helps you efficiently master the core concepts you need to know for your courses and USMLE exams. Access information anywhere - from the coffee shop to the classroom - with full-text online access at studentconsult.com. Take your learning farther with targeted therapy boxes, clinical cases, virtual microscope slides, and self-assessment questions online! Learn core concepts quickly and efficiently with a highly templated design that highlights pathogenesis and morphology. No comments for "Robbins Basic Pathology, 9th edition".